Yahoo! Weather has discontinued their weather API, and subsequently, many DAKboard users were seeing a “Weather not available” message. 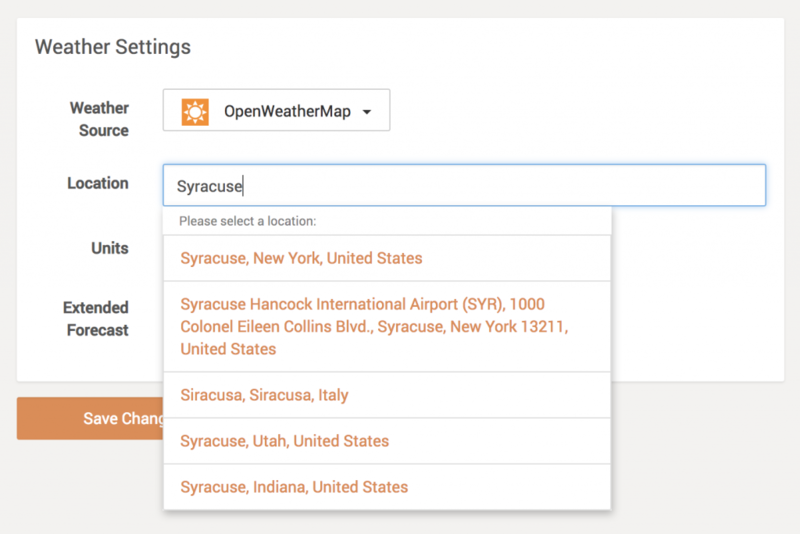 As a workaround, we recommend switching your weather source to either Darksky (Premium only), or OpenWeatherMap (Free and Premium). We apologize for any inconvenience this has caused. And as usual, please let us know if you run into any issues. Thank you. Previous Previous post: New Traffic Block, Christmas Delivery and More! Next Next post: Content Scheduling is Here!